Smart people think that movies—not games—will be the first killer app for virtual reality. Maybe that’s why Oculus is poaching Pixar veterans for its very own virtual reality film studio, and showing off its very first film at Sundance this week. It’s anywhere between 3.5 and 10 minutes long, depending on how you watch! But regardless of this particular film’s merits, the new Oculus Story Studio could also be a big deal. Hollywood and indie filmmakers want to get in on the virtual reality craze, but they don’t quite know how to get started with VR filmmaking. And so far, Oculus hasn’t been able to do much to help. “We didn’t have an answer for them,” Oculus CEO Brendan Iribe told The Verge. One of the most commonly cited problems is simply figuring out how to tell a story in a VR environment, because traditional techniques don’t work. Cuts can be jarring and disorienting for the viewer (imagine being rapidly teleported around a room!) and you can’t really frame things like you do with a traditional rectangular camera when the viewer can look wherever they want at any time. I’ve seen a number of early attempts at VR filmmaking, and they’ve run the gamut from terrible to amazing. Zero Point, which called itself the first movie for the Oculus Rift, was nothing more than bluster combined with some shoddy 360-degree footage. Others have been poor conversions from 2D cameras, or glorified amusement park rides in search of a story to tell. A startup called Visionary VR recently showed me a pretty cool toolkit for building VR movies in VR itself, but I wasn’t quite sold on their idea of using traditional cuts to move the story along and pausing the action when you turn to look around. The only ones that have really impressed me are the subtle, emotional works of Felix & Paul Studios—like this Fox-produced piece where Reese Witherspoon stares into your soul. But now, Oculus won’t just be relying on startups and indie filmmakers to figure it out. The new internal team of former Pixar, Lucasfilm, and Electronic Arts animators and cinematographers will tackle these problems themselves, and share what they discover with anyone else who wants to create VR films. Which could be extremely important if Oculus wants to have a lot of compelling content by the time the consumer version of the headset launches. 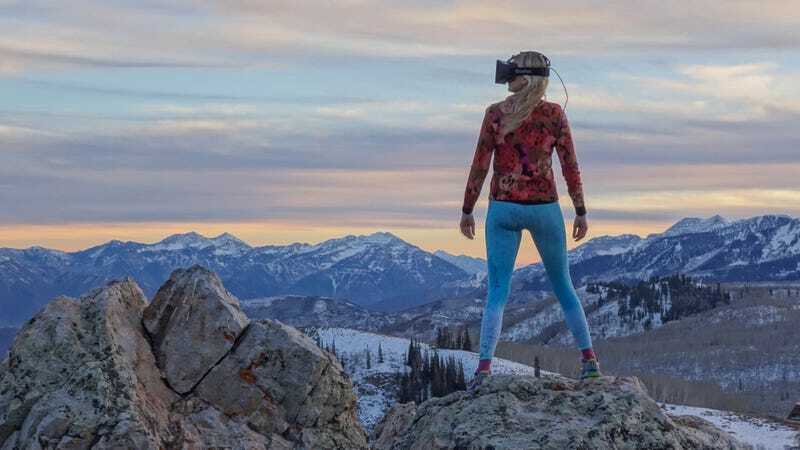 You might think that games will be the focal point of Oculus’ strategy, but right now immersive VR games have one major problem of their own—no one has yet released a controller that can let you convincingly put your hands or feet into a virtual world. You can’t grab things. You can’t actually walk around.